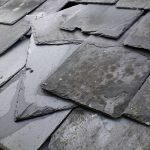 DPR Roofing Wakefield recently completed emergency roof repairs to a house in Sandal, Wakefield after high winds caused damage to the ridge tiles which then resulted in damage to the conservatory roof as the tiles fell. DPR were called out as an emergency by the occupants and were able to attend that day. After an intial inspection of the roof the engineer temporarily refit approximately 20 wind dislodged roof tiles to the front and rear elevation. This work was essential as there was an extreme risk of further roof tiles falling and causing further damage to the conservatory. 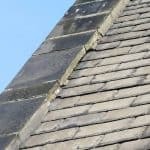 In order to achieve a permanent repair DPR re-attended at the property to remove remnants of wind damaged ridge tiles and re-set the new ridge tiles back to a new mortar bedding. They also removed the damaged polycarbonate roof section of the conservatory and supplied and fitted a new polycarbonate roof section.